15/15 Adjustable Rate Mortgage – Is it the Right Mortgage for You? Buying a home is a big decision and you likely have a lot to think about when it comes to deciding which mortgage is right for you. Do you need a monthly payment that leaves room for expenses and savings goals? Do you want to minimize the long-term cost and save on interest so you can put your money toward other goals? A 15/15 adjustable rate mortgage (ARM) just might help you achieve both of these objectives. What is a 15/15 ARM? 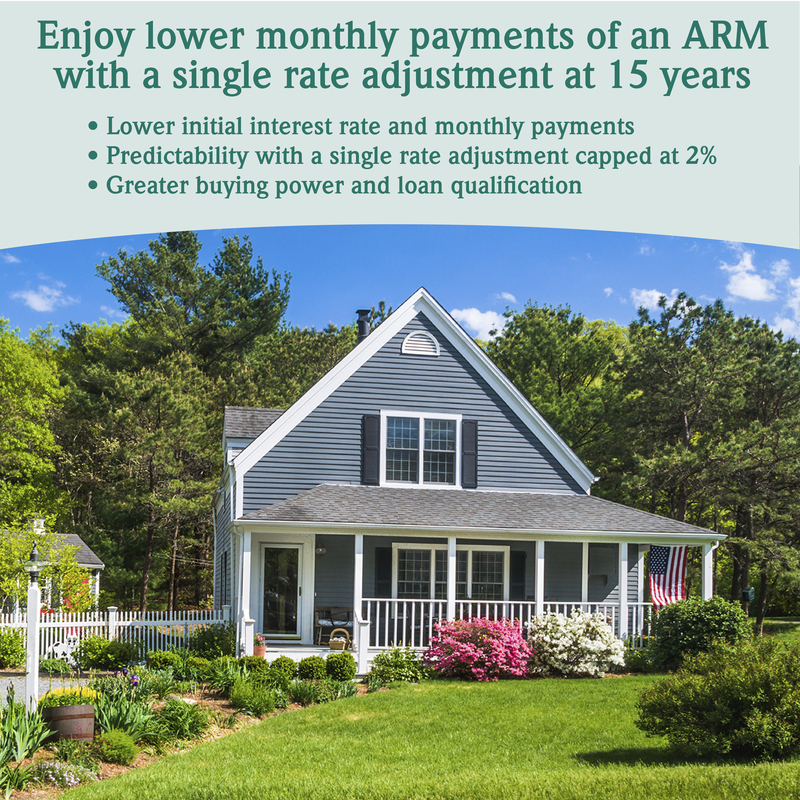 A 15/15 ARM is a unique type of adjustable-rate mortgage with a fixed interest rate for the first 15 years, the rate adjusts once and then remains at that new interest rate for the remaining life of the loan. One of key the benefits of a 15/15 ARM is that the initial interest rate is typically a lower rate than you would get from a 30-year fixed mortgage. The risk is that interest rates could rise over the next 15 years and the adjusted interest rate could be much higher. However, The Coop’s 15/15 ARM is capped at a 2.00%. That means that, no matter what, your mortgage rate adjustment won’t be more than 2% higher than your initial rate. The 15/15 Adjustable Rate Mortgage is the best choice if you want a loan with low initial payments and the benefits of both a fixed and an ARM product. Whether you are buying your first home, refinancing or moving to a brand new house, our loan officers can help. They will guide you through our various loan options and the process for securing your mortgage. Read all disclosures, assumptions and important information on a 15/15 adjustable rate mortgage.